French hothead and World No. 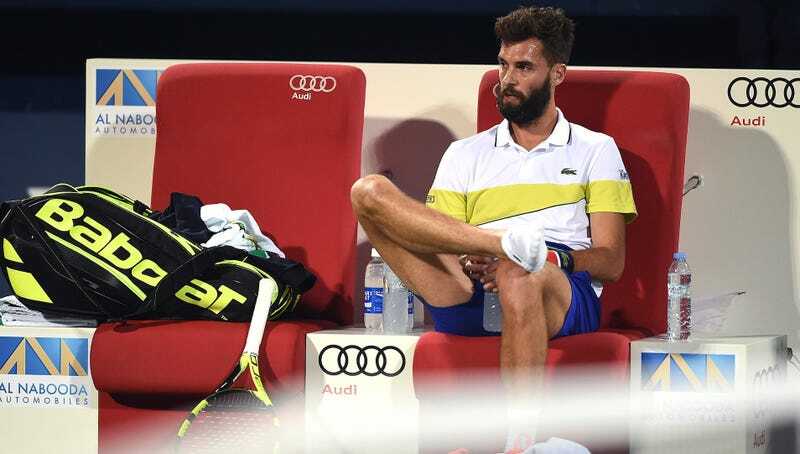 39 Benoit Paire defeated Martin Klizan 7-6(4), 6-3 in the first round of the Miami Open on Wednesday. As you might expect from a volatile head case, there were a couple racket casualties along the way. Then it escalated to this spike, when Paire missed a first serve down 30-0 near the end of the first set. That broke his racket, so he fetched a new one and promptly dumped the ball into the net, sparking this beauty, which earned him a point penalty. Paire is sponsored by Babolat. I emailed the company to see if he’s allotted unlimited rackets or, if like Yonex, it will fine players for smashing too many frames. I’ll update if I hear back, but Paire, at least, doesn’t think his sponsor minds. Will Serena Williams Be Ready For The French Open?